Our Australian Walkabout exhibit gives visitors a unique opportunity to walk among our three kangaroos. These beautiful creatures are friendly and calm. 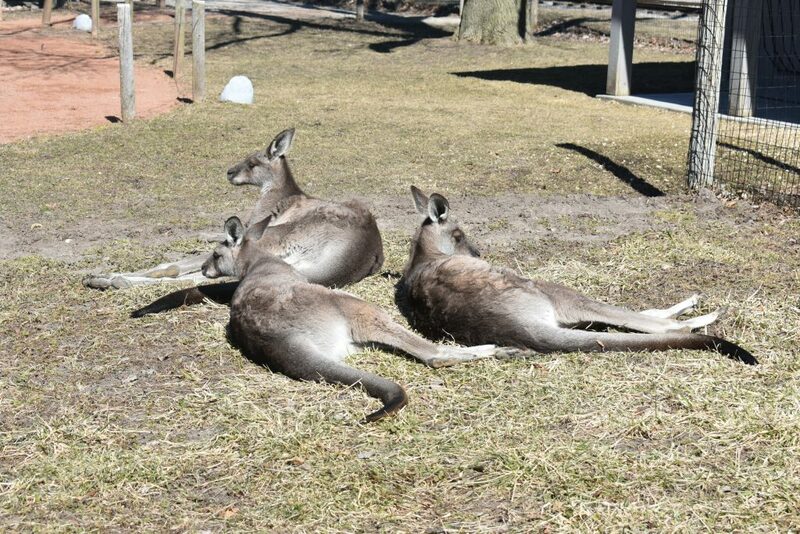 Eastern grey kangaroos have short, silver-gray fur, which is darker on their hands, toes, and tail. They have large ears which provide them with excellent hearing. Powerful hind legs, long feet, and a long, muscular tail make kangaroos excellent jumpers – they can leap a distance of up to 30 feet in a single bound! Their strong tails also provide support and balance, and they can even use their tail for sitting! A kangaroo baby, called a joey, is only an inch long and weighs less than half an ounce at birth. After birth, the joey climbs from the birth canal to the pouch where it lives and nurses for the next 11 months. At that time, it is old enough to leave the pouch, but may continue to nurse from the pouch for up to an additional six months. 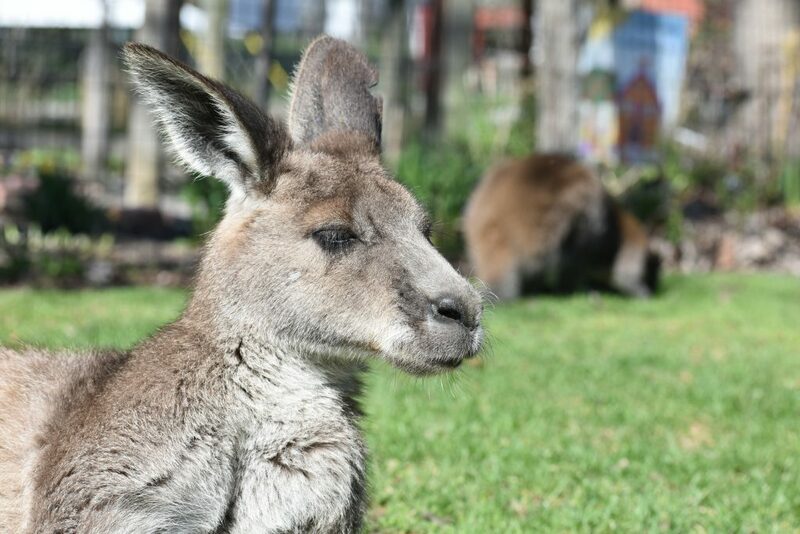 Eastern grey kangaroos form family groups called “mobs.” A mob can have anywhere from two to 10 members, but generally consists of one large mature male, two to three females with joeys, and two or three younger males. The lifespan of an eastern grey kangaroo is 10 years in the wild, 20 or more years in captivity. As with all native Australian wildlife, exportation of kangaroos is controlled by the Australian government. Overall, the Eastern grey kangaroo is not in danger of extinction as there are an estimated 1.5 million in the wild. However, some sub-species are listed as endangered or near threatened. Threats to these animals are habitat destruction and large-scale killing by farmers, as kangaroo’s graze on the same land as sheep.